The Hotel Medsur-La Ràpita, can be found at just 250 mts, from the beach opposite the bay of The Alfacs. It is a privileged place for lovers of water sports. Important feasts like the famous prawns from la Rápitaarrive at its famous port. 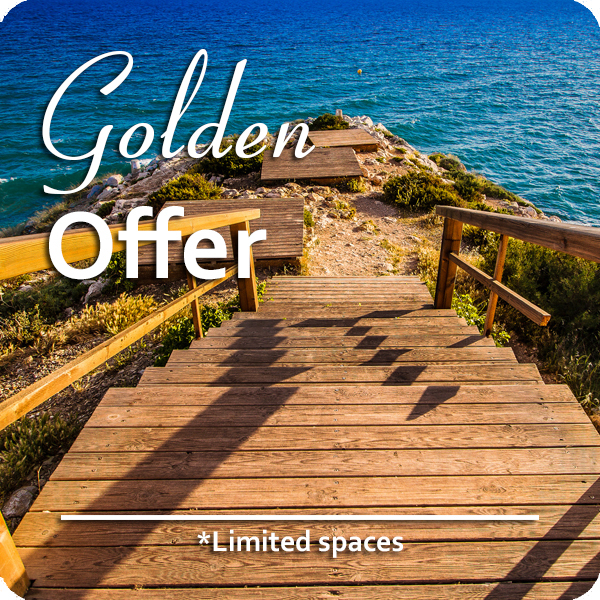 You mustn’t miss out on a visit to Delta del Ebro, , a natural reserve of the biosphere of UNESCO since 2013. From la Rápita, apart from the Delta del Ebro, you can visit many charming towns like Tortosa (30kms), Amposta (13 kms), or Peñíscola (50kms).This last place, because of its geographic point and medieval castle next to the sea, has been chosen as the scene for the international production of films such as “EL Cid”, or the more recent, “Game of Thrones”. 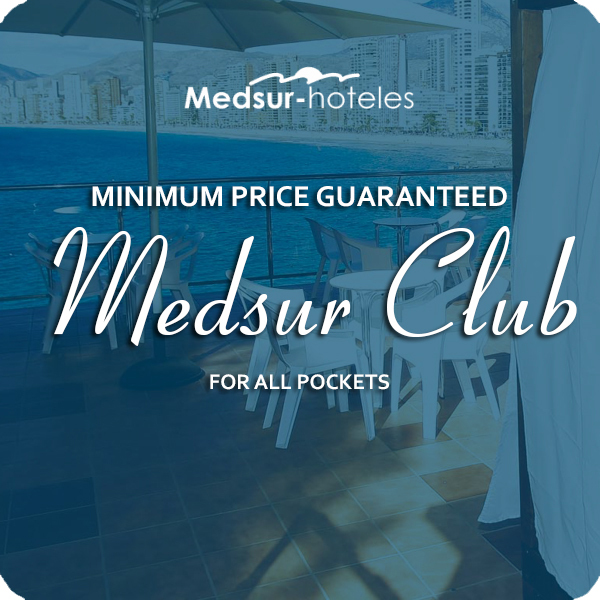 Hotel Medsur-La Rápita is the ideal destination to enjoy the sun and the beach with the family, friends or partner, for a gastronomic escape, to practice nautical sports or to visit the Delta del Ebro. The Hotel Medsur-La Rápita, has 232 spacious, exterior rooms with large terraces. 210 of them are fitted with two 1,35 mt. beds and 22 with one 1,60 mt. bed. All the rooms have a full bathroom with complimentary articles, hair-dryer, heating and air-conditioning, flat screen satellite T.V., telephone, and a safe box (optional) and fridge (optional). Hotel La Rápita is a hotel with easy access and provides adapted rooms at no extra charge. To be certain of the availability of such rooms it is best to reserve them in advance. Are you hungry? Do you fancy a coffee, or maybe refreshment? We know how important it is to start the day with a good breakfast, enjoy a tasty lunch or have an appetizer. We make an effort every day so that everybody can always find something they like in the restaurant. We introduce local products and recipes for you to get to know the gastronomic culture of the area. We offer a wide list of drinks and enjoyable cocktails in our café. From 10.00 am. to mid-night in Winter. From 10.00h – 01.00h in Summer. Don’t forget to ask for our .special offers and contests..
Take your own photo with us, share it on Instagram or Twitter and enjoy special offers and discounts in the café.. In the buffet we also have lactose free milk and sugar free productsfor breakfast. Breakfast: 08:00 hrs. – 10:30 hrs. Evening meals: 20:30 hrs. – 22:30 hrs. We would like you to have fun with us, so our entertainment team has a complete program of activities organized for all ages; games, contests, dances, activities in family groups and with friends. We will help you to forget about stress with our relaxation and gym classes. We also organize games and activities on the beach. We hold acts and special shows nightly. We are grateful to you for putting something as important as your holidays in our hands. If the day you are leaving you need to stay in bed a bit later or you wish to spend a while in the swimming pool and get changed later, you can request a late check-outTo avoid oversleeping and arriving late for any excursion or appointment, we have a call service. the day before in reception, depending on availability and cost. In the swimming pool area we have a shower which you can use on that day. If you wish to visit the Delta del Ebro, we can inform you and help you to organize your trip. Hotel La Rápita has covered parking spaces. The price per night is 9,00 €. We cannot reserve places. Ask about availability when you arrive. If you decide to spend a whole day out, but you are paying for Full Board, you can tell us the day before and we can prepare a picnic for you to take along. By train; The station Sant Vicenç de Calders (1.5 kms. from the hotel) You can get a taxi from there to the hotel quite easily. It is very easy to get to Sant Carles de La Rápita. If you come on the AP7 motorway ( a toll motorway) the exit is Sant Carles de la Rápita – Amposta and later take the N-340. The nearest train station is Aldea-Amposta. To get to the hotel from there, you can take a taxi (about 20€) or you can catch a bus with the company called HIFE. There is a stop 300 meters from the hotel. The nearest airports are Reus (90 kms), Castellón (100 kms), Barcelona (200 kms) and Valencia (200 kms).